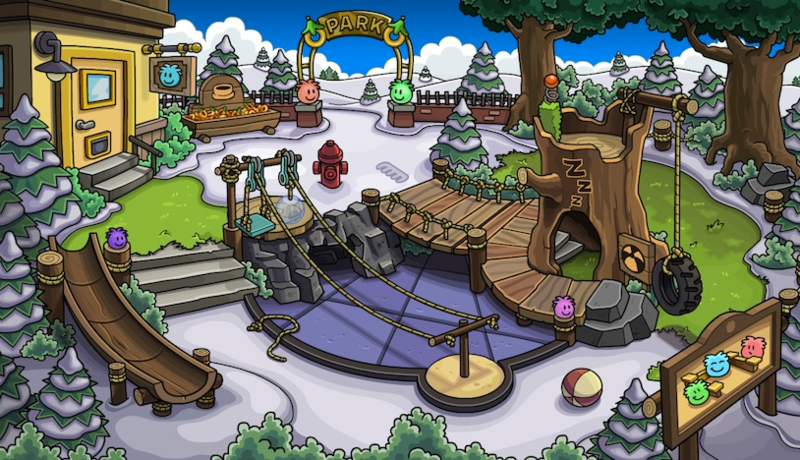 New Puffle Park Coming In April 2014! The Club Penguin team tells us about a new room coming to the Club Penguin island this April of 2014! The room is focused on puffles. Also, Polofield tells us about Puffles and when they will be added to the Club Penguin app. I promised a bunch of you a sneak peek today, so... Let's get this sneak peek party started! As many of you have heard, the Puffle Party is coming to Club Penguin in April! Not only that, but we're almost finished coding two brand new puffles! But before we sneak peek the new puffles coming next month... I thought everyone should see the brand new room that will be coming in April, too... the Puffle Park! In other news... Puffles are coming to the Club Penguin app! I can't say too much about it just yet, but I'll share a sneak peek as I can, because puffles look SUPER awesome in 3D... Tell your friends! Tell your dog and your cat, your teachers, your brothers and sisters! Tell the moon! (if it will listen...) This is gonna be HUGE! Oh, and see everyone later this afternoon for Field Friday!